In April 2018, the CDC in Atlanta announced autism affects 1 in 59 children. 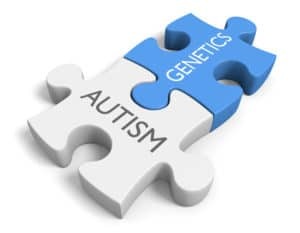 Autism is a neurodevelopmental disorder and is heterogeneous, meaning its presentation and long-term outcome is very specific to the individual. Key symptoms may include speech impairment, social communication deficits, stereotypical and repetitive behaviors, and differences in the ability to understand nonverbal cues. While the cause remains unknown, a growing body of research supports the hypothesis it is caused by a combination of genetic and environmental factors. Sensory issues, characterized behaviorally by high or low sensitivity to visual, auditory or tactile sensations is common. Medical comorbidities, including seizures, sleep disorders, and gastrointestinal disorders are frequently missed due to communication challenges and sensory differences experienced by many people with autism. Autism can be detected in the first two years of life, but average age of diagnosis is much later.